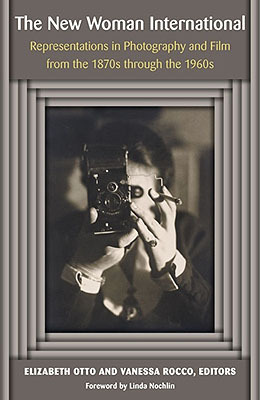 On Monday, March 28, Professor Vanessa Rocco will be co-hosting a panel discussion for her new book, The New Woman International: Representations in Photography and Film from the 1870s through the 1960s along with Kristine Harris, Elizabeth Otto, Clare Rogan, and Linda Nochlin. The event will take place at the Barnard Center for Research on Women, James Room, 4th floor of Barnard Hall, at 6:30pm. The event is free and open to the public. For More information, please visit Barnard’s events website. The New Woman International is now available to order from the University of Michigan Press. For more information or to order a copy, please click here.